Healthy Inside ~ Fresh Outside..!! : What Foods and Drinks Are Bad for Kidney Infection? 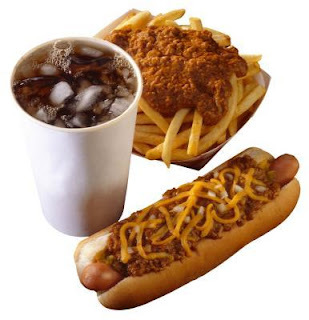 What Foods and Drinks Are Bad for Kidney Infection? A kidney infection is a form of urinary tract infection in which bacteria travel from your bladder or urethra up to your kidneys. A bacterial infection in your bladder or urethra is known as a urinary tract infection, or UTI. When you develop a kidney infection, prompt treatment is required. If you let a kidney infection spiral out of control, it can permanently damage your kidneys, or the infection can spread to your bloodstream and cause a potentially deadly infection. Because a kidney infection often stems from a bladder or urinary tract infection, avoiding the same types of foods that aggravate your bladder and urinary tract will help reduce unnecessary irritation. Spicy foods and acidic foods, such as hot sauce, barbecue sauce and tomato-based foods, can cause bladder irritation, according to MayoClinic.com. Corn syrup and artificial sweeteners are also culprits because they can contribute to irritation and leakage of urine. Certain substances in drinks can over-stimulate your bladder, such as caffeine and alcohol. Over-stimulation of your bladder can lead to excess bladder irritation and increase the risk of leakage due to the additional stimulation. Like foods, acidic drinks can cause irritation. Avoid drinks such as tea, coffee and soda. Certain fruit juices are acidic, such as orange juice and grapefruit juice. If you normally consume caffeine by drinking tea, coffee or soda, gradually reduce your caffeine intake. Completely cutting caffeine out of your diet at once can cause side effects such as headache, irritability, fatigue and nervousness. Instead of pouring yourself a glass of orange juice for breakfast, opt for sugar-free cranberry juice. Unsweetened cranberry juice can help prevent future bladder and UTI infections that can lead to kidney infections, according to the University of Maryland Medical Center. Swap your soda out for water, which does not cause irritation and helps flush infectious organisms from your body. A kidney infection can cause pain. Over-the-counter pain relievers can help ease fever and discomfort that might arise from the infection. Take all medication as directed by your physician or the product label. Your doctor might provide a stronger prescription medication if necessary. You might feel pain or pressure with a kidney infection. To reduce pain, apply a heating pad to your back, stomach or side; do not fall asleep with the heating pad on, as this can cause burns on your skin.